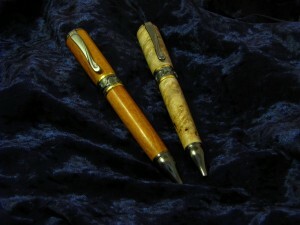 Running out of season, lots of pictures, enjoy, get in touch! 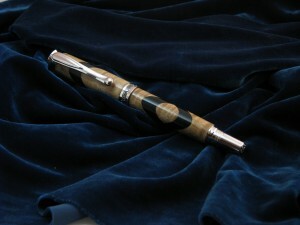 I’m running out of woodworking season while I catch up on commissions and orders. And, to be honest, the woodworking space of the house is a lot more fun than hours on the webpage.So: I’m going to post a bunch of pictures of my work. 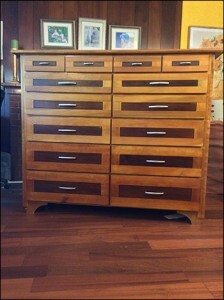 Some of the pictures are beautifully composed, a whole lot of the pictures are not. 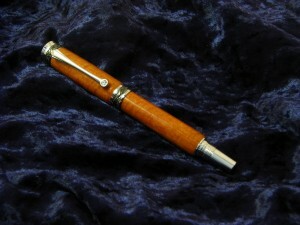 I’m happy to take further commissions, or to get in touch to sell items that I currently have on hand. 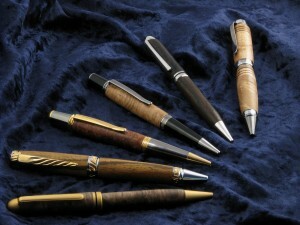 A selection of ‘classic’ style twist pens in a variety of woods and plastics. 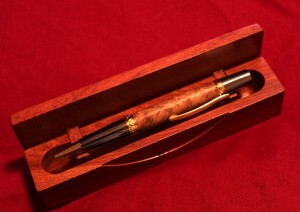 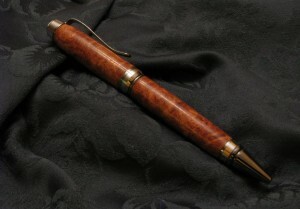 Another amboyna burl pen, this time in a cigar style. 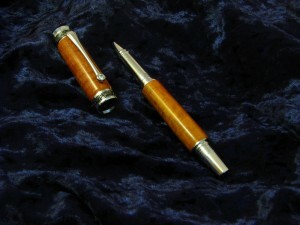 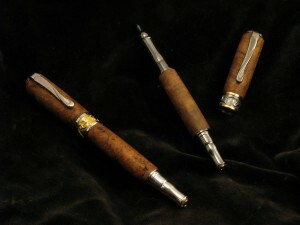 A pair of high end pens, rhodium plated with gold filigree in amboyna. 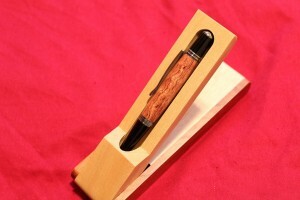 Available in fountain and rollerball.